By Hongkiat Lim in Gadgets. Updated on February 28, 2016 . Have a question on how to do something on your new Apple Watch? Seeing as how this is the first generation of the Apple Watch, you probably have many questions on how to use it. For starters, the Apple Watch needs to be paired with your iPhone. This allows it to do many things like sync photos, music, receive app notifications, and locate your iPhone. You are running iOS 8.2 (or later) on your iPhone 5/5s/5c/6. 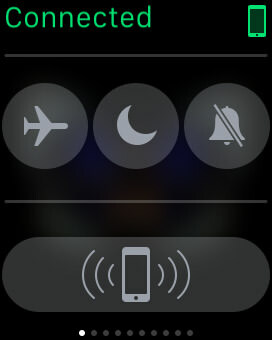 1) Turn on your Apple Watch by holding down the side button for a few seconds. 2) Select your preferred language. 3) Tap on Start Pairing. 4) Open the Apple Watch app on your iPhone. 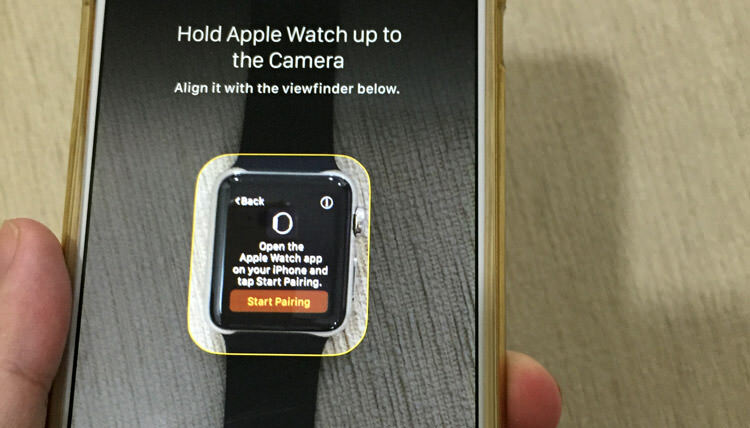 5) Hold your Apple Watch and align it with iPhone’s camera viewfinder. That’s it! 1) Tap the (i) icon button on the top right corner of your Apple Watch. 2) Go to the Apple Watch App on your iPhone, and tap “Pair Apple Watch Manually“. You will be presented with a device name. 3) Follow the steps on screen and pair your Apple Watch. Have your Apple Watch nearby, and make sure it is connected via bluetooth to your iPhone. Under “My Watch” screen, go to “Apple Watch” and tap “Unpair Apple Watch“. Your Apple Watch will now be disconnected from your iPhone. During the initial setup of your Apple Watch, you will be prompted to setup a passcode to keep your apps and sensitive data safe on your Apple Watch. If you skipped this step during setup, you can still set your passcode. On your iPhone’s Apple Watch app , go to My Watch > Passcode > Turn Passcode On. On your Apple Watch, enter a new passcode, and enter it a second time to confirm. 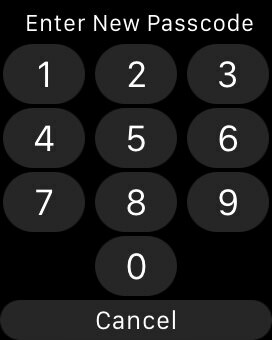 By default, you only need to enter the passcode on your Apple Watch one time, and the watch will stay unlocked as long as the watch is detected on your wrist. If the Apple Watch is off your wrist, you will need to unlock it everytime you need to access the apps and other notifications inside. Ensure that the passcode on your Apple Watch is different from your iPhone’s passcode. You can unlock your Apple Watch via your iPhone. You can also change your Apple Watch passcode via your iPhone. You can choose to have your Apple Watch unlocked whenever you unlock your iPhone. To do this, go to My Watch > Passcode and turn on “Unlock with iPhone“. Press and hold the side button on your Apple Watch. Not loving the current clock face, or want to change the clock face to suit your current mood? Here’s How to do it. Make sure you are in the Clock app. Press the screen firmly to bring up the clock face gallery. 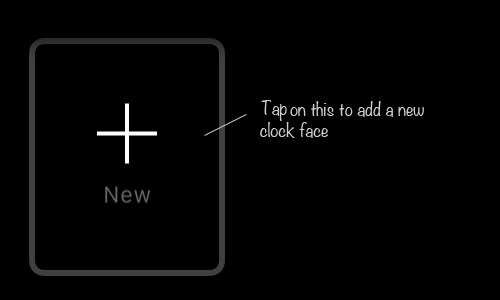 Tap “Customize” to change the current clock face, or swipe left/right to select other clock faces. One of the great things about the Apple Watch is that you can create as many clock faces as you want, and change them to suit your mood. If you aren’t a fan of the preset clock faces, why not add a new one and customize it to suit your taste? 1) Press firmly on the Clock app to bring up the clock face gallery. 2) Swipe all the way to the right, until you see a +New option. Tap on it. 3) Use the crown on the side to select your preferred clock face. 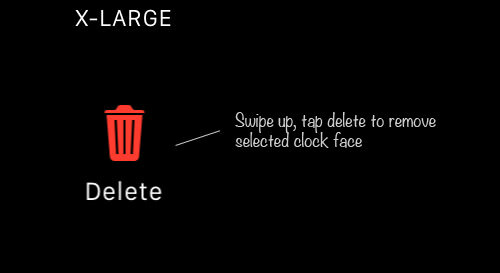 2) Swipe up on the clock face you want to delete and tap the delete button. Glances as its name suggest, gives you a glance at the apps you access frequently. 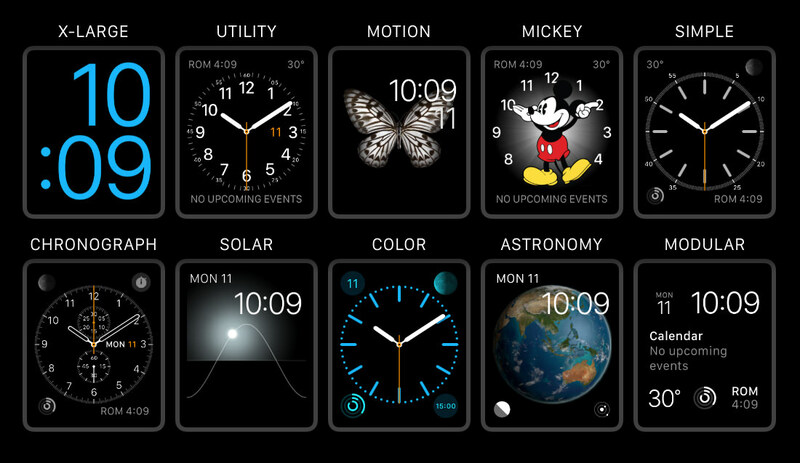 To go to Glances on your Apple Watch, simply swipe up from the clock face. You can navigate through the apps in Glances by swiping left or right. Go to the Apple Watch app in your iPhone. Tap (+) to include an app to Glances, or (-) to exclude the app. To add an app you’ve installed on your iPhone to Apple Watch, go to the Apple Watch app, look for the app under My Watch, tap inside and select “Show App on Apple Watch“. It will then be reflected on your Apple Watch’s app screen. Go to the app screen, tap and hold the app you want to delete until you see the (x) button. Look for the specific app under My Watch, tap inside and uncheck “Show App on Apple Watch“. You can control the layoutof the apps you have on your Apple Watch. 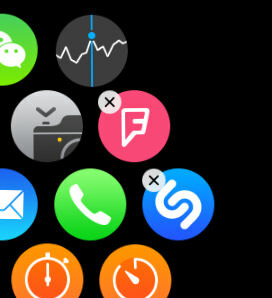 There are two ways to rearrange or re-position the apps on your Apple Watch’s app screen. Go to the apps screen, tap and hold until the (x) button appears. Drag any of the apps to the position you want. Tap and hold the app’s icon until it zooms up. You can now re-position the app. You can view all your notifications by swiping down from the clock face. To clear all your notifications, press firmly on the notification screen, then tap on Clear All. To clear a individual notification, simply swipe left of the specific notification and tap Clear. Notifications on your Apple Watch mirror the settings on your iPhone. 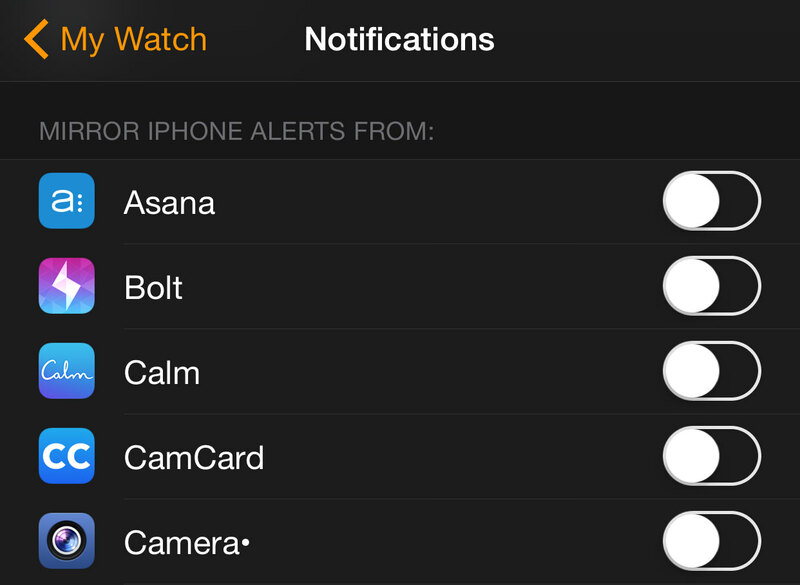 In short, if you get alerts for a specific app on your iPhone, you will automatically get the same notification on your Apple Watch too. Under My Watch, go to Notifications. Scroll and find the app then toggle the button to the right of the app to turn off notifications. Voice control is probably the best way to interact with your Apple Watch, which means, you need Siri on your Apple Watch. You can use Siri on your Apple Watch to launch apps, make calls, check the weather and much more. Hold the Digital Crown until you see the next screen that says “What can I help you with“. You can listen to your favorite tunes on your Apple Watch with the help of Bluetooth headphones. 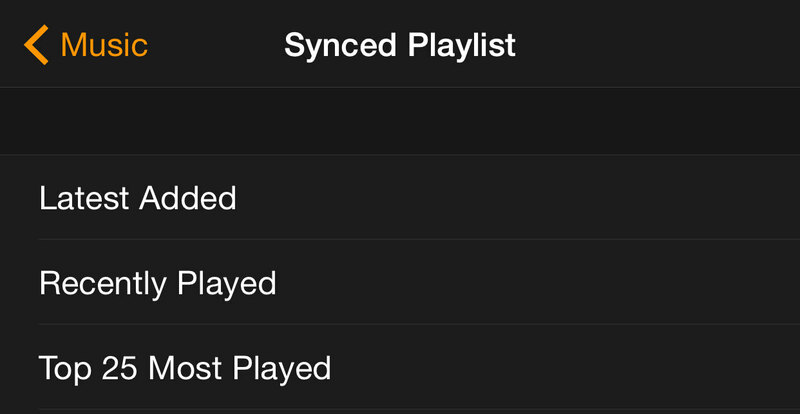 To do that you need to sync a playlist to your Apple Watch from your iPhone first. 1) Make sure Bluetooth is turned on on your iPhone. 2) Connect your Apple Watch to its charging cable. 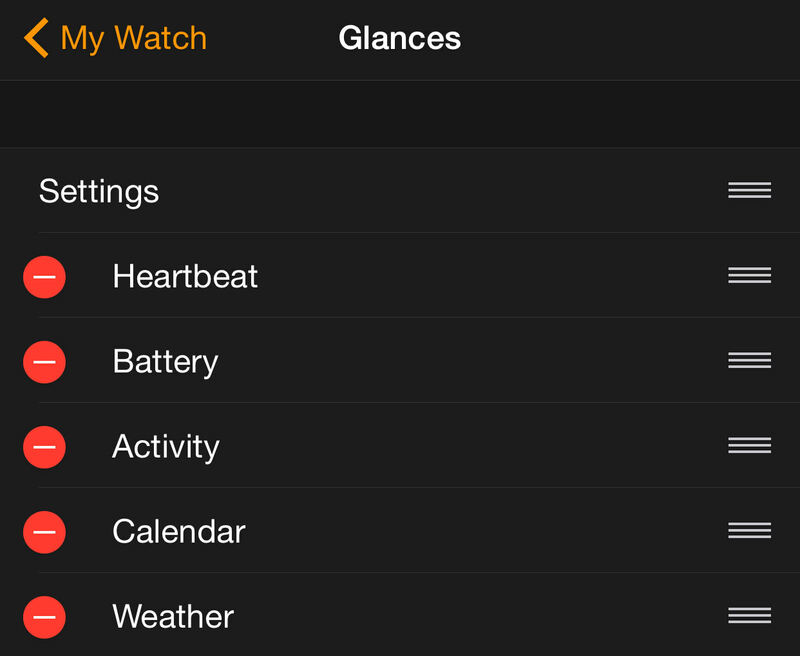 3) Open the Apple Watch app on your iPhone, go to My Watch > Music > Synced Playlist. 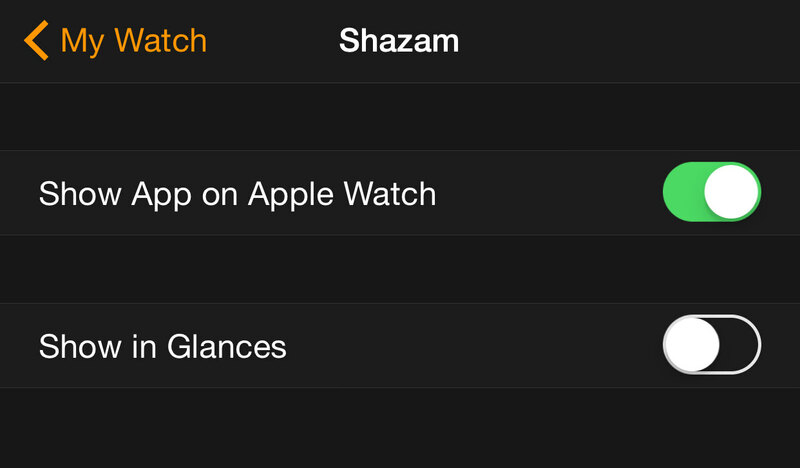 4) Select and tap the playlist you want to sync to your Apple Watch. Wait for the sync to finish before using your Apple Watch. 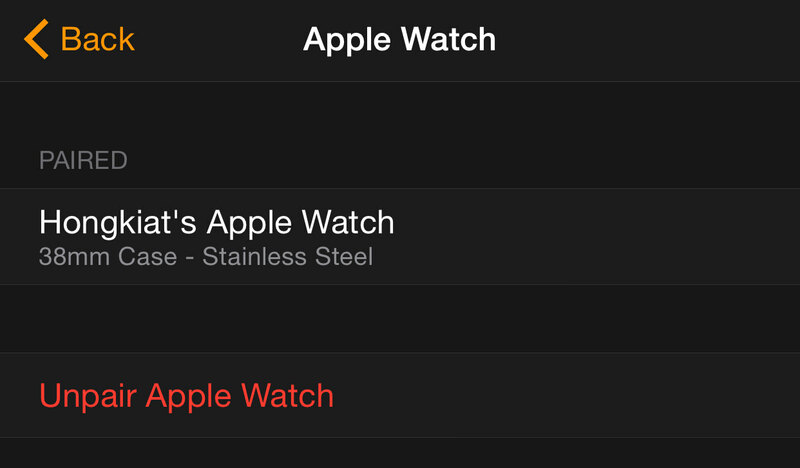 You can keep only 1 playlist on your Apple Watch at any time. Your playlist is limited to a maximum of 1GB (or a specific number of songs). You can change this limit via My Watch > Music > Playlist Limit on the Apple Watch app on your iPhone. Syncing your iPhone photos to Apple watch is similar to syncing your music, except you don’t need connect your Apple Watch to its charging cable. 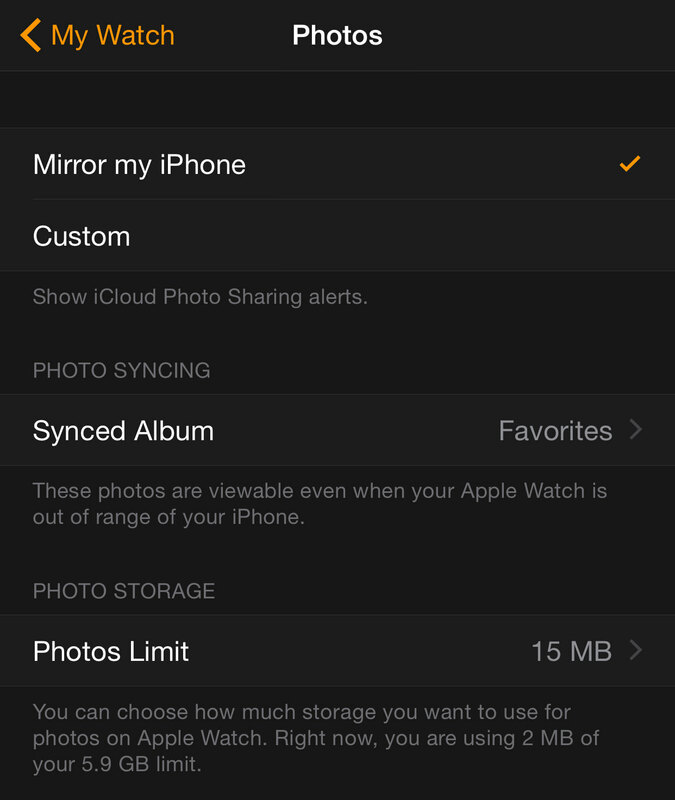 By default, Apple Watch will have your “Favourites” album from your iPhone synced. If this is not the album you want to have on your Apple Watch, here’s How to sync other albums to your Apple watch. On your iPhone’s Apple Watch App, go to My Watch > Photos > Synced Album. Tap to choose the album you would like to sync. You are limited to one album at a time. You are limited to a maximum of 500 photos, or 75MB worth. This setting can be altered under My Watch > Photos > Photos Limit. 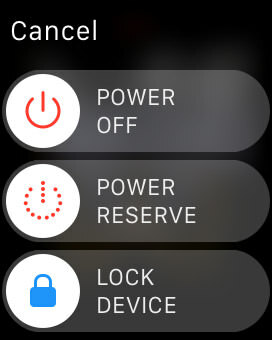 To turn off your Apple Watch, click and hold the side button (below the Digital Crown). On the screen, swipe right on the “POWER OFF” button. To turn it back on, simply hold the side button for 1-2 seconds until you see the Apple Logo appear. If your Apple Watch hangs, or is just too slow, you can do a force reboot (also known as a hard reset). 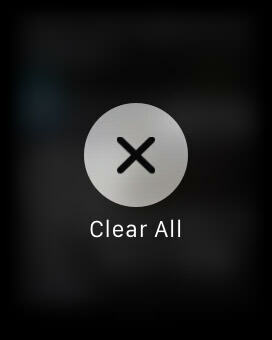 Hold the Digital Crown and side button together for a few seconds, and your watch will turn off and restart by itself. To toggle between two of your most recently accessed apps on your Apple Watch, simply press the Digital Crown 2 times. This will allow you to jump instantly from your current app to your last used app, and vice versa. 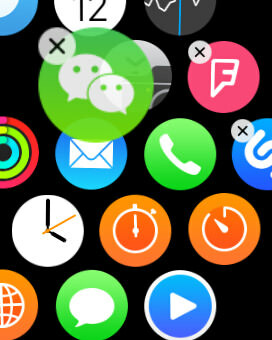 If a specific app is acting up in your Apple Watch, you will need to force quit the app manually. Release, and hold the side button again until the app closes. You will be brought back to the App screen. If you are thinking of handing over or selling your Apple Watch to someone else, it’s a good idea to erase and wipe out all of your data and settings before you do so. 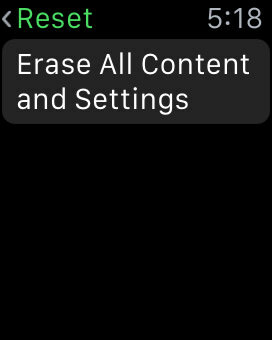 Here’s How to completely erase everything on your Apple Watch. 1) Go to My Watch > Apple Watch. 2) Tap “Unpair Apple Watch“. 3) Next, open the Setting app. 4) Go to General > Reset, and tap “Erase All Content and Settings“. Does it seem like your iPhone is a fan of hide-and-seek? Since you will have your Apple Watch on your wrist most of the time, you can use it to locate your iPhone. 1) Swipe up to Glances. 3) Tap the “Pinging iPhone” icon to make your iPhone make a loud sound so you can locate it easily. This works even if your iPhone is on silent mode, and as long as it is within range of your Apple Watch. Technically you can’t take a photo with your Apple Watch alone because it has no camera installed. However, you can use it as a viewfinder for your iPhone’s camera and to trigger your iPhone to take photos. 1) Launch the Camera App on your Apple Watch. This will, at the same time, brings up the Camera App on your iPhone. 2) The screen on your Apple Watch serves as a viewfinder for your iPhone camera. 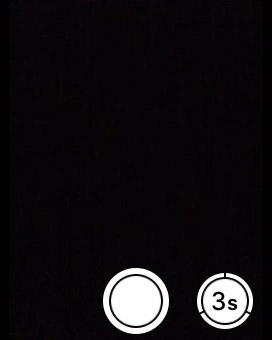 Tap on the white button (center – below) to take a photo. Taking a screenshot of your Apple Watch is easy. Just navigate to the screen you’d like to take a screenshot. Hold the side button then press the Digital Crown once. Your screenshot will be saved into your iPhone Camera Roll.